So you have created your account on Fiverr and you are eager to start getting massive sales and bringing in thousands of dollars to your bank account every month. So you visit the buyer request section every day and you exhaust the 10 you are given by Fiverr daily. However, you waited for one week, two weeks, but no luck shine on your way, you were not able to make any sale. You refused to give up, rather you remained diligent and keeps visiting the buyer request section day after day with the hope that you'll be able to get an offer one day, you have the notion that after all, every good thing takes time to come. One month passed and nobody has ever talked to you, let alone purchasing your gig. One month and before you know, two months, three months and about to hit the fourth month and you become frustrated. 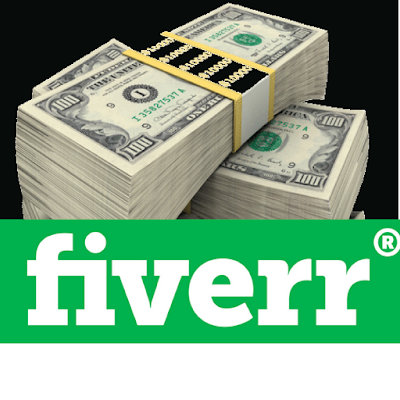 As a result of this, you begin to doubt the possibility of ever making money from Fiverr, perhaps thinking that those that introduced you to Fiverr lied about the amount of money they make from it and so you give it up! If this story sounds similar to your experience on Fiverr, then it’s time to smile again as I’ll be revealing to you what you need to do to start getting massive sales from Fiverr month after month. 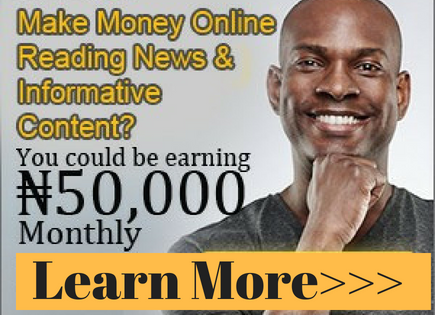 The information you're going to get here is something most Fiverr guru will never tell you; and if you must tell you, they can't give it to you free of charge like you're going to get here on this web page. The information you're going to learn on this web page is what separates the people who succeed on Fiverr and those who don’t. You may not know, there are many people out there that live a very comfortable lifestyle by relying solely on income from their Fiverr earnings. So, the question is this: Are you ready to transform your life by income from Fiverr? If you are, I won’t waste your time an inch, let's dive in right away. It determines your trust rating, i.e. if a potential buyer will trust you and buy from you. So, when creating your gig, be sure it's optimized for searches on Fiverr and in a way that it will win the trust of buyers and get them to click the order button. The question is, how can we achieve this? How do we set up a gig in an optimized way? Surely, who would not want his/her gigs to show up when people search for the services he/she rendered. But with the competition getting tougher and tougher every day, how do you make your gig to stand out and appear on the first page of searches on your niche? While most people will just go ahead setting up their gig expressly, there is a little tweak you can apply when creating your gig that will make it appear on the first page of the Fiverr search on your niche. The first step is to find out the keywords that people use when searching something related to the services you want to offer on Fiverr, i.e. your gigs. Let me use an example here, let's say you are into transcription service, your keywords could be something like audio video transcription, convert video or audio to text, transcribing services, transcriptionist, and so on. Sometimes, when you log in to your Fiverr account you'll see a list of the most searched keyword by the side of your account. Note them down, and if you can offer any of such services, create a gig on them. Once you have identified the keywords for your niche you can proceed to step two. The second step in optimizing your gig is to use the keywords you identified in step one on your gig URL. When you create your gig, the Fiverr system automatically uses the words you wrote in your title for your URL too. For example, if your gig title is “I will do a flawless audio/video transcription”, the URL to your gig will be username/do a flawless. Of course, you know this isn’t going to help your gig to rank, as it doesn’t contain any of the major keywords on your niche, the keyword part has been truncated by Fiverr gig title generator. A simple tweak to have your keyword show up on your URL is to write your title in a way to ensure the keywords are included in your gig title. Using the example above, you may restructure your title like this “I will transcribe audio/video” instead of “I will do a flawless audio/video transcription”. The main keyword of this gig title is transcription. Nobody searching for transcription services will use "flawless or audio/video, so it is better you include your main keyword (in this case transcription) at the start of the gig title so it can appear in the URL. Once this main keyword is automatically set to the URL of your gig, you can go back and edit the gig title to whatever you want to make it read or sound better, ensuring that the main keyword is maintained in the title. The third thing you need to do in optimizing your gig title is to also use your main keywords in your gig descriptions and tags. Your keywords are not important in your URL alone. For maximum exposure, you should also add it to your gig title, descriptions and tags. This way, whenever anybody searches Fiverr on any services related to yours, the chances of getting your gig to show up is very high. Let's now move further to talking about how to win buyers' trust. How Do You Set Up Your Gig to Win Buyers' Trust? Once you've got your gig starts to show up on Fiverr searches, you will definitely start getting visitors to your page. It's one thing to get them to land on your gig, it's another them for your gig description to convince them and win their trust. Once they are on your page, you should do a great job of convincing them that you have all it takes to solve their problem and even exceed their expectations. You should be able to convince them that ordering your gig is the best decision they will make at that point. All of these can be achieved in your gig description. Let me give you details of how you can do that below. 1. What does the visitor want? For sure, anyone who clicks from the search result to get to your gig page is certainly interested in what you are offering. If someone visits your audio/video transcription or web design gig page, most probably, they are looking to have such services done for them. So bear this in mind and write in a way to entice them. 2. What is their greatest challenge which your gig solves? Assuming you offer a web design service, ask yourself why someone would need a website. Maybe they need an online presence for their business, they want to promote their services on the internet, they want they want to increase their prospects, reach more customers and increase sales, etc. Find out the reasons why someone would want your services and note it down. 3. What could possibly be their fear ordering from you? If you are new, they would probably be scared of being the first person to order your gig as your proficiency have not been confirmed by someone else. Reassure them that you would give them an excellent job and they won’t regret. Reassure them that you will offer them a money-back guarantee if they are not satisfied. This is the best trick to calm the buyer down and they would proceed with the order if you are new and haven't had any portfolio on Fiverr. 4. What should they expect from your service? If they eventually order your gig, what should they expect? For example, if you are a transcriptionist, you can tell the buyer to expect a flawless, verbatim or clean, well structured, punctuated, void of grammatical errors transcription. Make sure to write this in bulleted form so the buyer can easily sight and read it. a persuasive description that your readers will find difficult to resist, and as such will hit the "Order Now" button. Make sure the description answers each of the questions and write in a way that everything flows together. Like most people are, if you have no idea of copywriting you can hire a ghost copywriter on Fiverr to do that for you with about $5, you can get a decent article written for you. If you can make your gigs rank on the first page of the Fiverr search, you will get more visits to your gig page. When they land on your gig page, it is your description that will move them to order. Now, I will talk about more techniques you can apply to make your first sale on Fiverr. As you may have known, making your first sale is always the most challenging part of the Fiverr business. The biggest challenge you will have to make your first sale on Fiverr is the absence of reviews. You see, most buyers won’t want to be the first to order from you; they don’t know what you are capable of doing, whether you'll be able to deliver the promises in your gig description page. They might think you are a beginner and they won’t want you to learn with their work. So they would rather wait till someone else orders your gig and writes a great review of your work. But the question is "who is that someone else?" In order not to wait endlessly for that first buyer who will drop the review, simply look for a friend or family who will place an order on your gig and give you the review you want. This might look unethical, but you just have to do it, this is what most people that make money on Fiverr do to make their first sale, you may even see such suggestion on Fiverr forum, meaning Fivver is not against that. If you can get two to three positive reviews on your gigs from your friends or relatives, then potential buyers would be more confident to buy from you. Even if you have to pay for the review, just do it. Besides, even if you pay, the money still comes to you as an order and you can withdraw it. If you are looking to jumpstart your sales, get your friend and family to order your gig and give you nice reviews. Don’t wait for clients to place the first order; it will take time. In most cases, some clients will request for your previous work samples before they order your gig. But as a new seller without job samples to give, what should you do in such situation? Should you lie to them or ignore the client? You don’t need to do any of these. Know that when clients ask for samples, they are just sceptical about your ability to deliver the type of quality they want. That's why they demand your work samples to know your capability from it. Nobody would want to pay you and end up getting a poor quality job from you. So if you can find a way to get rid of this scepticism of getting a low quality work from you after paying you, then you won’t have to send them the sample. This is the trick that works very well, instead of deceiving them or lying to them, do this instead. From experience, 100% of potential buyers fall for this trick on their request for samples. Ensure to use this strategy anytime a client asks you for samples. With this, you won’t have any impedance to getting the first sale of the gig. There is a section on Fiverr where you can hustle for buyers on a daily basis. Every seller on Fiverr has 10 chances to do this per day. But the competition here is also very high. If you have visited that section of Fiverr, you would have noticed in most cases over 20 people bidding on any buyer request. So, how do you beat the competition, I mean how can you stand out from all these other bidders? This is where your pitch comes you. You can only win the competition by your pitch. What you write when bidding will determine whether the client will prefer you to other bidders or not. Write your pitch in a way to let the buyer know you understand what he wants. If you can, repeat what he wants in your own words, to prove to him that you know what he wants. Tell him that you have the required knowledge and experience to deliver the job he wants beyond his expectations. If you can offer a lower price, do. If not, state the price you will accept. If your price is above the buyer’s stated budget, make him see the reason for the higher price and the value he will get from it. If you follow these when pitching, your bids will convert more and you will get more sales. Despite the fact that Fiverr gains a lot of traffic from search engines, if you want to earn huge revenue from Fiverr, don’t just rely on the traffic they send to your gig from their search page. Take a bolder step by advertising your gigs outside Fiverr. You should start looking at Fiverr as a business, and like any other business, you need to spend time promoting it through every channel available to you. Find out where your target buyers usually hang out online: social media, forums, blogs, groups, etc. 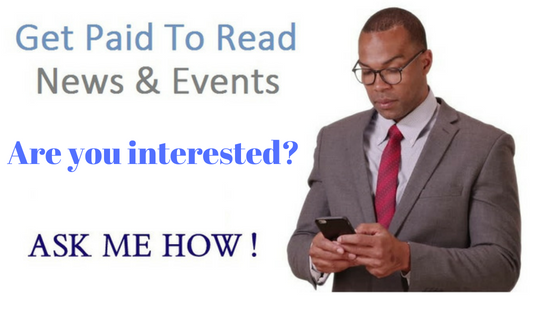 It will increase your gig impressions as more people visit your gig. This will make your gigs to rank even higher on the Fiverr search page. However, while you promote your gig outside Fiverr, do not forget to obey their policy, ensure you follow Fiverr policy on communicating with clients within and outside Fiverr. The policy says you shouldn’t give out your contact information to your clients outside of Fiverr. So while advertising your gigs off Fiverr, as far as it's Fiverr gig you're advertising, don’t post your direct contact link there; let every call to action lead to your Fiverr page. That way, you will reap the benefits of your effort without getting banned on Fiverr. Fast and Timely Delivery; How Does It Affect Your Fiverr Business? Most buyers always want you to deliver their work fast and timely even when they are not going to make use of it immediately. To get these types of buyers as repeated buyers, you need to always offer them fast delivery of the service. It is even recommended you add fast delivery in your gig title and in the description. For example, your title may go like this: “I will do a flawless audio/video transcription for you in 24hours” A lot of buyers will fall for it and will hurriedly order the gig even though you may not be able to meet up the 24 hours you stated in your gig title and description. It’ll surprise you to know that most of them will not even complain even if you cannot meet the time you specify in your gig and they still, in most occasion will not complain that it came late. So use it to your advantage when creating your gig, when bidding and when advertising your gig. This does not mean that you should delay a client's work even when you can deliver your gig in 24hours. If you have ever bought anything online in any of those popular online shopping portals, you will see something like “those who bought this item also bought this”. They try to convince you into buying more because you are already in the buying mood. That is called upsell in internet marketing terminology. It is a widely known tactic in the internet marketing world, used to increase revenue. For a better understanding of how you can use this strategy on Fiverr, let's have an illustration. Let's say a client hires you to write the content for his or her landing page, you can tell them that you can also write follow up emails for them. You then proceed to tell them the benefits of the follow-up and finally convince them to pay more to get email follow up in addition to the landing page. What & When Should You Upsell? When you apply this strategy, make sure whatever is it you want to upsell should be a service that's related to what the client has ordered from you, let the example given above. You can't try to upsell a service of audio/video transcription to someone that ordered your gig on let's say graphic design. They are not related service in any way and the person is likely not going to need that service at that time. So, the point is, when you upsell, let it be something related to what the person ordered from you. Now, talking about when to upsell, the best times to upsell a client is either when they just ordered your gig or when they give you a positive review. When they order your gig, they are still in the buying mood and might willingly pay for the upsell if you do the job of convincing them very well. When they give you a positive review, they are in the happy mood and so might consider giving you additional jobs. You may not have the skills required for the upsell, this should not stop you, rather you can partner with another seller who can offer services that you can upsell with your own gig. Look for other sellers either on Fiverr or elsewhere you can get the job done cheaply and outsource jobs to them. However, before you use this outsourcing option, make sure the person you are outsourcing to is good at the work; else he will mess up your reputation with your client. Upselling is one technique that can increase your earnings by 100%. Buyers value quick response to their enquiry very well. They love it when they visit your page and it shows them that you are online. It makes them feel like they will get instant feedback when they send you a message about something. So it is very important that you always stay connected and this you can only be achieved by simply downloading and installing the Fiverr app on your smartphone. Remember the competition on Fiverr is so huge, as a buyer is talking to you, he is also talking to other buyers. Let's look at this scenario, for instance, you are a buyer and you are talking to three different sellers at the same time: one takes 1 hour to respond, the second takes maybe 30 minutes or less to respond and the third responds immediately, who would you go for? Surely, you would choose the one who responded instantly. That’s exactly what the buyers do. So if you are not connected at the time buyers communicate with you, you might lose out in most cases. In most situations by the time you come to respond, they would have given out the job to someone who was more responsive. To avoid this happening to you download the Fiverr app on your smartphone and stay connected. With the app installed on your device, you will get instant notification when a buyer contacts you and in that way you can respond immediately. as $200 or even more. So, you can see the difference. How much you make on Fiverr is also dependent on your chosen niche. However, this does not mean you cannot earn good money in transcription services per month with or any of the other lesser priced services. If you make use of your gig packages and do a good Upsell, you can achieve that. There are several sub-niches under any of the niches listed above. Head over to Fiverr and see those sub-niches so you can choose the one that you can do with ease. But you may be saying, I don’t have any relevant skill required in any niche? The answer is; you can sell almost anything on Fiverr. And if you think you don't have any skill at all GO AND LEARN. Nobody is born with a particular skill. We all acquired whatever skills we have today from experience, learning and practice. You can also acquire the skills you need to start making thousands of dollars every month from Fiverr. So go learn those skills and start making huge money on Fiverr. Conclusively, having learned everything you need to start making huge sales from Fiverr regularly if you fail to apply the knowledge you will make nothing. It’s only when you apply what you have learned here that you can start seeing good results. Some people are making as much as $5,000 on Fiverr monthly, it could be you. So head over to Fiverr right away and get started right now and you will get there very soon.